Recycle cardboard boxes into practical storage baskets with rope or twine for affordable home storage. 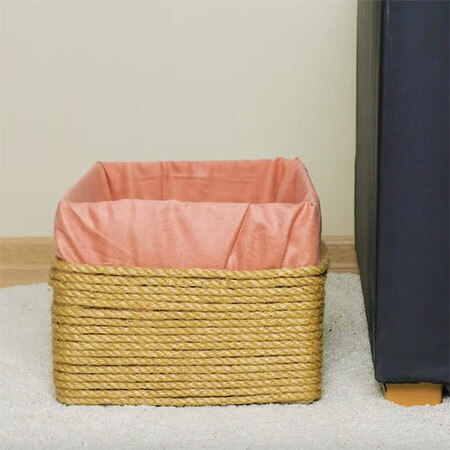 This recycling project shows how easy it is to turn ordinary cardboard boxes into attractive storage baskets. 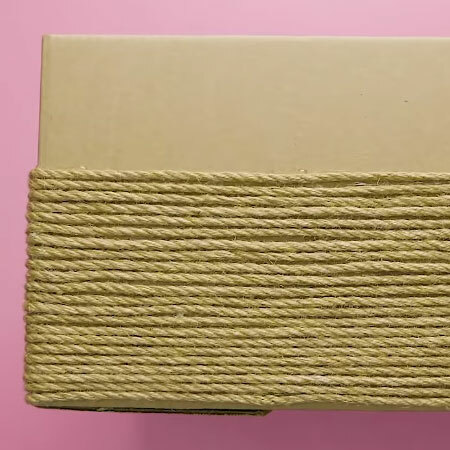 All you need are some cardboard boxes, a hot glue gun, rope or twine and fabric - an old pillowcase is great - to line the inside of the box. 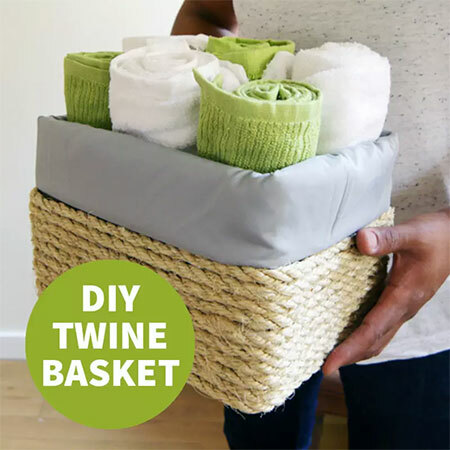 You can use these storage baskets in almost any room in the home. Use them for storing toys to keep your living room neat and organised. 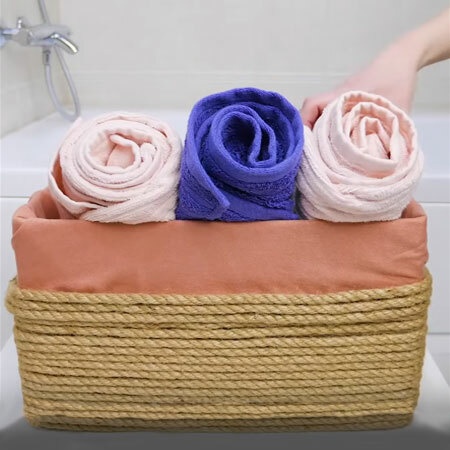 Use them in the bathroom to store towels or bathroom essentials. Or make up more than one basket for storage on a shelf. 1. Start by removing the top flaps of the box. It may also be necessary to use a scrap piece of cardboard to reinforce the base of the box. 2. 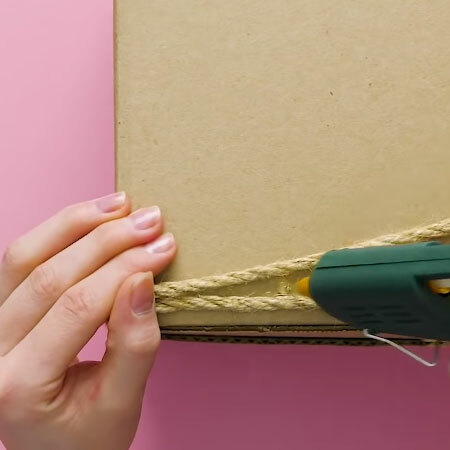 Use a glue gun to affix the rope or twin and start at the base of the box. 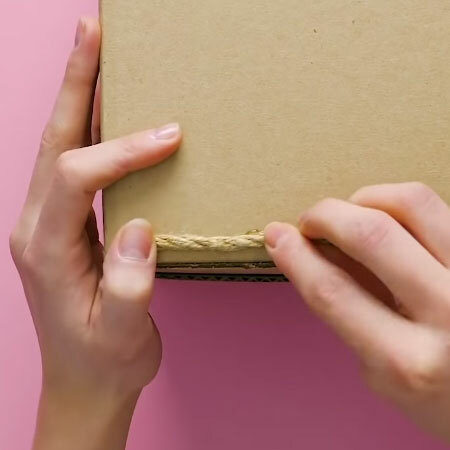 Place the end of your rope as close to the bottom of the box as possible, at one corner. 3. 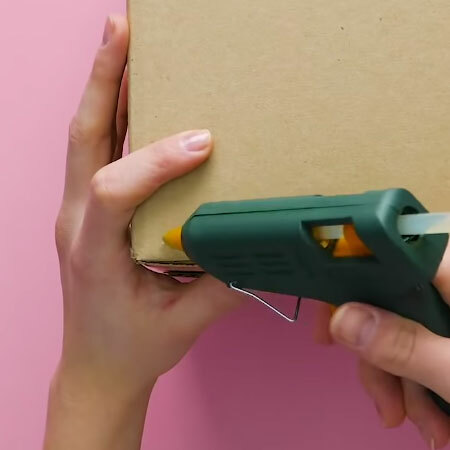 Glue and wrap the rope or twine around the box, using the glue gun to secure all the way around. 4. Continue adding rows of rope or twine, making sure to glue to the cardboard box to keep your rows neat and straight.